Run-Flat version of efficient tyre retains the excellent rolling resistance and good wet performance of Falken's ZIEX ZE914 Ecorun tyre with dimple sidewall technology to extend running distance at zero pressure. ZIEX ZE914 Ecorun tyre. 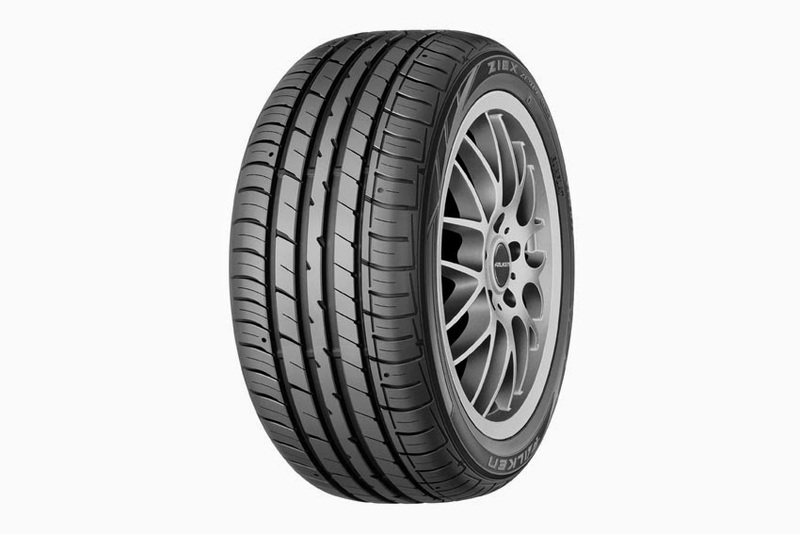 Available this Summer and suitable for cars specified to run Run-Flat tyres, the tyres retains the excellent rolling resistance and wet weather characteristics of its standard variant and adds the security and convenience of being capable to run for at least 80 km at 80 km/h at zero pressure. To achieve the levels of durability, Falken's engineers in Japan specified a number of innovations. Most notable is the inclusion of dimples in the sidewalls. These indentations help to dissipate heat more evenly, allowing the tyre life to be extended by 17 per cent when running at zero pressure. The change to a Run-Flat variant has enabled Falken to tweak the tread pattern design for better performance. Reinforcing the already strong wet weather capability, Falken has widened both the lateral grooves and longitudinal grooves to improve resistance to aquaplaning. A stiffer outer shoulder provides enhanced cornering performance in dry conditions. "Run-Flat technology offers consumers the ability to complete a journey or to reach a safe and convenient location to replace a tyre," said Isamu Ishida, Managing Director of Falken Tyre Europe GmbH. "Our technologies, such as the dimples, protect the tyre when it is under great stress, extending its life and convenience." The ZIEX ZE914 Ecorun Run-flat is available from Summer 2014 starting with 225/50RF17 94W and 225/45RF17 91W sizes.